Kids tend to be selfish and demanding. Horrible behavior in kids often happens when their immediate needs are not met. As parents, we must learn how to teach our young kids to manage such big emotions in their little bodies. Our specific parenting styles may change as kids develop because acceptable behavior in toddlers should not be tolerated in kindergarten. Parents must be consistent with their education process to bring an end to horrible behavior in kids. Many children readily learn and accept rules and expectations; however, other kids are intent on getting their own way. At any cost: lying, cheating, stealing, screaming, biting. To a child, all options are on the table. Because these outbursts can become overwhelming, many parents find simple ways to stop the episodes without focusing on fixing the horrible behavior in kids. Moms run the risk of becoming an accidental parent without a disciplined approach to correcting unacceptable behaviors in kids. After you feel you have exhausted your techniques to correct horrible behavior in kids, you need the ultimate secret weapon. Many of us remember our mothers and grandmothers reaching a point where we knew we needed to behave. Once you crossed that line, you entered a secret area that I call the Inner Dragon. What is an Inner Dragon? I believe an Inner Dragon is a part of our personalities that many people never use. I consider it the protector of our core values, possibly the gatekeeper for our “fight or flight “abilities. There is a level, some place deep inside of us, where we can go when we need to find strength that we may not know we possess. This place is your Inner Dragon. For the most part, we will function in life and never need to visit this special place. However, once you begin to raise a child, you will soon realize that you need help! Just ask any childless woman about her happy thoughts of bonding with her future children and compare these thoughts with the actual experiences she had during the first several years of the children’s lives. It is a very, very different story! A common theme is: I was a better mother before I had kids. Truth for most of us. Raising kids is hard work, and most young mothers are overwhelmed. We simply believe that once kids get older, things will improve. As an empty nester, I can tell you that waiting for your child to decide to follow your directions and obey your rules is not a good plan. Parenting is an action sport which requires planning and adapting to the team (or child) you are playing against. As parents, our goal is to help our children learn to be polite, caring people who will contribute in some way to our society. This will require discipline. Kids are born to resist discipline! This topic will not be a popular one because I have spoken to many parents who believe they should not raise their voice to children or tell them the word “no”. This post is definitely not for those parents. This post is also not for parents with special needs children or children who are simply exhausted, hungry or not feeling well. To the parents who can predict a meltdown because their children want to make their own rules or teach you to follow theirs, this post is for you! The Inner Dragon concept is for those of us who struggled to find the right balance between letting our kids develop their own personalities and remaining respectful. We need a secret weapon to deal with chronic bad behavior in kids. Children are learning their boundaries, so it is their job (24/7) to push those boundaries and find out what happens. As a parent, it is your job to REPEATEDLY let them know that if they do not follow the rules, the results will not be pretty. In fact, things may get downright ugly. When do you use the Inner Dragon? Discipline begins with toddlers and should be as consistent as you can make it. I recognize there may be days when your children will win, and you can only sit quietly and wait for the storm to pass. But as your children grow and have been repeatedly taught your rules and expectations, you will understand that your kids have chosen to not follow your rules. Your discipline should grow right along with them because you should not accept regular bad behavior in kids! Yes, there are millions of books/blogs that explain thoughts on the best ways to discipline your children at specific ages. You know your kids better than anyone else, so you need to determine what will get their attention. Your technique will hopefully decrease the amount of times you experience the unacceptable behavior in kids. Developing your Inner Dragon may prevent you from becoming one of the parents to teenagers who I frequently see in my private practice. These parents have learned to keep a straight face and avoid my eye contact when their child yells at them to “just shut up”. Yes this is a situation I believe everyone wants to avoid. Clearly this is an extreme example of ridiculous behavior in kids. Many moms have experienced an overwhelming emotional outburst when frustrated with kids who show a lack of respect for rules. This is the uncontrolled, untamed version of your Inner Dragon. We all have Inner Dragons, but some choose to lock them away forever. Others release the dragons too frequently. I believe we need to recognize our Inner Dragon exists, and personally work to train and tame the dragon. 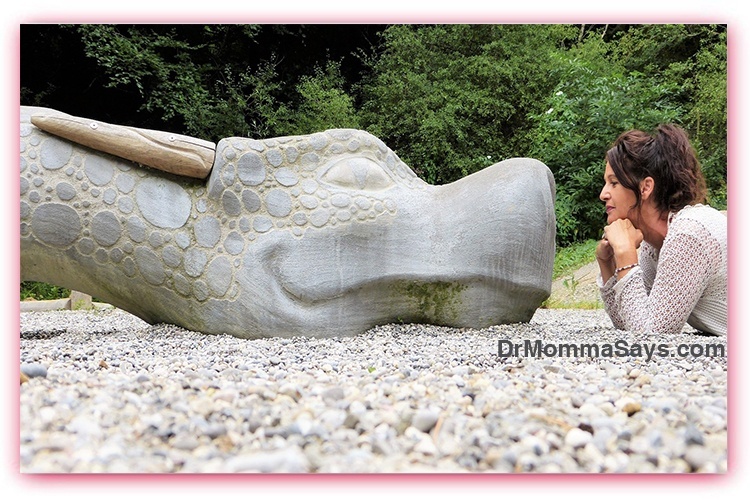 Then, when needed, the dragon knows its rules and boundaries and how to reduce unacceptable behavior in kids. An out of control Momma Dragon is not useful and should be avoided at all costs. Dragons should not be called upon to deal with children who make a mess and don’t clean up, continually get out of bed, or the everyday stresses of motherhood. Dragons should be used as a nuclear option to end the discussion on a specific topic. A dragon is not abusive; it is assertive and extremely clear about what it demands. Your children will learn to obey your Inner Dragon. They should start to see glimpses of the dragon and feel its presence before the first dramatic release. Eventually, kids will learn to avoid doing things that make the dragon come out. This is what we as mothers pray for; however, it takes work to get there. Some children may never meet your Inner Dragon because these are the children we all dream about. The children who dislike hearing a raised voice or having basic privileges taken away. Other children, and you know which ones these are, respond best when the fire-breathing monster demands it. In general, the Inner Dragon should be used when you feel that you have used all other options. You find yourself standing in front of your defiant child who has a smug look of victory on her face that needs to be wiped away forever. Many times this is in public when you are already embarrassed by your child’s actions. You have already hit rock bottom. 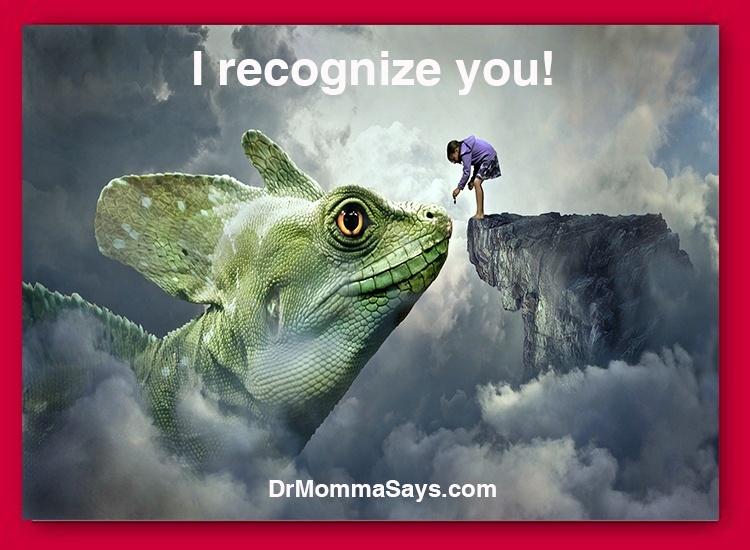 Your Inner Dragon is there to save you and your child. 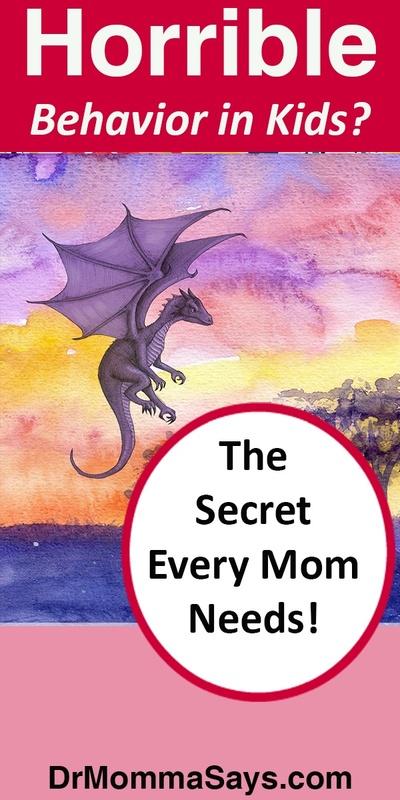 A mom needs to introduce her children to her Inner Dragon but needs to let them see they have reached the final stage before the dragon appears. Eventually, your children should see the signs that you are nearing a point that you may need to release the dragon. Your children should be able to look into your face and see something in your eyes that tells them to stop or face the next step. I call this Eye Speak. Every mother will develop her own signs to warn that the dragon is near. Many of us remember”the face” our mothers had just before we were punished. I used the same signs my mother used for me, and they were very helpful in helping me raise my daughters. 1. Your smiling face disappears, and your voice becomes uncomfortably quiet. 2. Your posture becomes perfect with a spine straight, as if made of steel. 5. As you stand up or walk a step or two closer to your child, you have announced that the final warning shot has been fired. At this point, if the behavior has not changed, the dragon must be released. No more negotiations. What exactly your dragon does after it comes out will depend on how you tamed and trained it. But it must be fierce! I raised two willful girls, so I can promise that my Inner Dragon was extremely helpful. Many parents in my office repeatedly threaten punishments that their children clearly were not concerned about; therefore, I know those kids have never met an Inner Dragon. 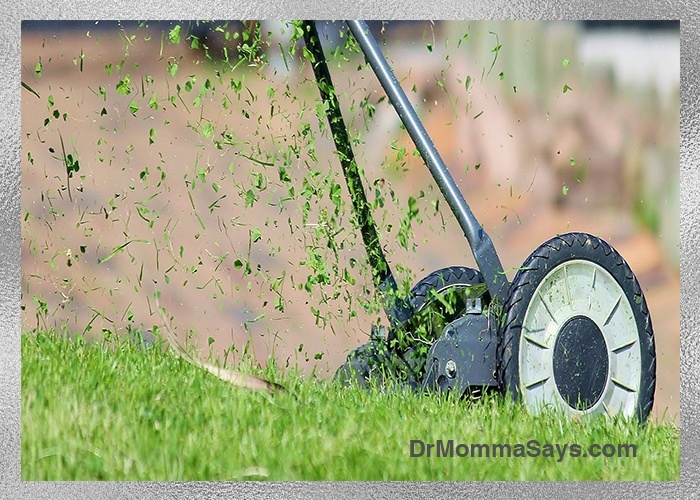 Moms need more tools in our tool box to help us raise our kids. Have your children seen your Inner Dragon? I appreciate the article, dr. Burton. Unfortunately, I grew up with a mother which had the dragon out most of the time. That is definitely unfortunate. That is worse than your child not understanding there is a hard STOP to something. I watch in my office daily as parents plead with kids to stop and the kids keep going. You need them to know that a consequence, whatever it is, is coming. As long as you don’t keep moving the bar for acceptable behavior and consistently take away unearned treats or privileges, that can be your dragon. But any casual observer, as well as your child, should see your body language that says you mean business!